Frank is the mostly orange one with dark green stripes and a hood. 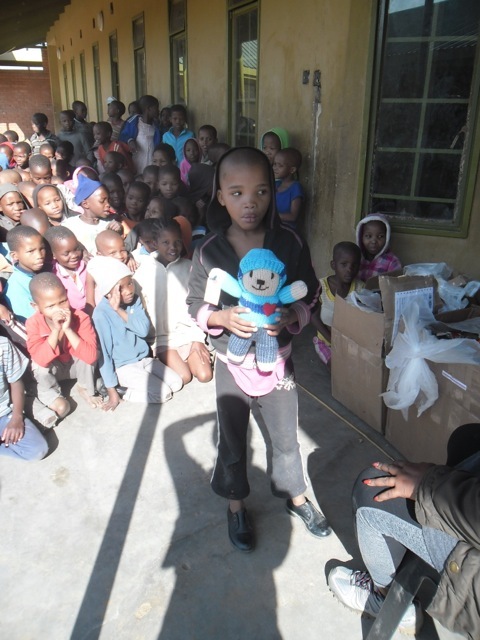 Today I looked through some new photos from Botswana and found my Paul Bear. I haven’t done any knitting yesterday or today, so that’s it for my crafting news. Back to recuperating!